Apple News, Google News and its subsection, Google Newsstand, can drive significant traffic for publishers and content creators. Each platform has its advantages and shortcomings. Getting familiar with how these services work can help you maximize your opportunity for visibility. What are Apple News and Google News? They are syndication platforms with a strong emphasis on mobile. They allow users to search for articles based on topics or publishers, and they give publishers ways to monetize via ads and tools to measure performance. Both platforms can drive more traffic to your content (via search or their “top stories” sections) and generate ad-based revenue for your brand. Google News is available on Android, iOS and the web. Users can access content within the “for you” and “headlines” sections, as well as by following or searching a particular topic or publisher. Google Newsstand is a tab within the Google News app, not a separate platform (a revamped Google News app replaced Google Play Newsstand in 2018). It displays an edition of your content for mobile and tablet from your RSS and media feeds, YouTube channel, social stream, and other sources. Apple News is only available on Mac and iOS. Users can access content in the “today” section or by navigating to the channels and topics that they follow. Unlike Google News, search results are presented as channels or topics, meaning that, even if a user searches an exact article title, the results won’t lead them directly to that article. Apple has also launched a paid subscription service called News+, a service that offers digital subscriptions to participating magazines and newspapers for $10 a month. We will dig into News+ further as the service matures. It’s not a syndication service and publishers can’t currently register for it. An important distinction for marketers to be aware of is that Google News is intended for news publications and content — not general content marketing. Having a website is a prerequisite, and outlets that want to be included on Google News must undergo an approval process. Having a website is not a requirement to be included on Apple News, making it a more viable option for brands and content creators that don’t have a strong news slant. Bodybuilding.com presence on Apple News (left) and Google News (right). Google News auto-plays video previews, while Apple’s videos play on click. An Apple News or Google Newsstand account can be a more appropriate option for content marketers who aren’t publishing news and for publishers want more control over their branding and monetization options. Apple News. Go to the News Publisher app. Sign in using the Apple ID associated with your business or publication. From there, you can customize your branding with a logo and cover image, assign user roles and link to your CMS. The final step to getting your channel in front of users is submitting at least three articles to show the Apple News team the kind of content you publish. You can draft articles directly in the interface, upload them from your computer or import them from your CMS. Once approved, you’ll be able to push your content to Apple News via RSS or using Apple News Format (ANF). Google News. 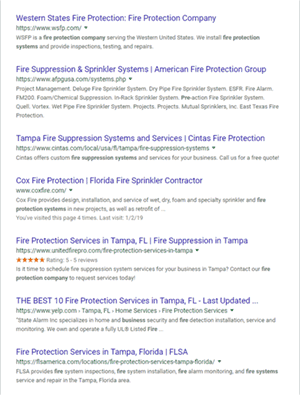 Go to the Google News Publisher Center to verify site ownership and request inclusion by entering your website details (such as news section URLs). It can take up to three weeks for the Google News team to review an inclusion request. Google doesn’t provide specific feedback regarding inclusion but offers information for applicants on the Google News Help Community. Rejected sites are eligible to re-apply after 60 days. Google Newsstand. By signing up through the Google News Producer Tool, publishers can create an “edition”. This is similar to Apple News “channels”. Creating an edition gives you more control over branding, the ability to serve ads and even paywall options. It is not necessary to create a Newsstand edition to register for inclusion on Google News. Editions appear in the Newsstand section of the Google News app. There are templates available, and you can add slideshows, videos, maps and other types of content. Apple News. When you create your channel, you’ll be asked whether you want to publish using RSS or ANF. If you’re already publishing on your website, then using RSS is the simplest option to deliver your content to Apple News. This can get your articles to users faster, but it does mean that you’ll miss out on some nifty customizations and options. ANF allows you to access richer analytics and take advantage of Apple’s CDN for faster loading. It also facilitates a more immersive experience by enabling publishers to incorporate effects, animations, galleries, pull quotes and dynamic text sizing for accessibility. Once you’ve selected between the two, you can author content directly from the News Publisher app, via the Apple News API, or through your CMS with the help of a plugin. Plugins are available for WordPress, Drupal, Craft, and Squarespace. Google News. Google News surfaces content from publisher feeds primarily, but also by crawling the web. You can facilitate the discovery process by creating a Google News sitemap with news-specific tags and submitting it in Google Search Console. Google News now automatically renders the AMP versions of your articles when available and can be rendered. However, you should also provide an RSS/ATOM feed of your content as well. That will ensure readers can access your content if they are offline or using older software versions. It is possible to opt out of AMP rendering within Google News Producer, if you choose. Google Newsstand. Newsstand publishers can opt to send content via RSS or AMP. AMP articles allow for greater control over your content’s visual elements and allows traffic to be tracked within your AMP analytics. Feed-based and AMP traffic will appear in Google analytics as news.google.com and news.url.google.com referrers. You can set up tracking in Google News Producer to get more details and track content that is rendered natively within the Google News Android and iOS apps. Ensuring that your content is original. Using credible sources and fact-checking. Applying correct publishing dates and other metadata. Apple News. Users are prompted to select a few publications to follow the first time they use Apple News, so optimizing for discovery starts with uploading a logo and cover image. Apple News discover section: Make sure that your cover image is 600x600px and your logo is legible. Within their respective channels, publishers can divide content into different sections. Many publishers make the first section their “all” or “top” stories section. You can also “promote” articles that will appear in the “more from” section after someone reads one of your articles. You can add a canonical URL linking back to the website version of your article. When the link is shared with non-iOS or Mac users, this will direct them to the website version. If you don’t add a canonical URL, those users will be asked to view the article using the Apple News app. Within your channel, you can group your articles into sections, but Apple News only pulls content from the first section when it generates a user’s “for you” feed. Make sure you’re publishing your most relevant content to that first, default section of your channel. Apple’s top stories are curated by real people — the Apple News Team. That means you’ll need to publish well-written, informative content and establish a positive reputation to increase your chances of being included in their curated stories. Google Newsstand. Since Google Newsstand editions use RSS feeds to pull in content, it’s important to ensure you’re properly configured. Enter your Google Analytics credentials to track how your content is performing within the app. You can nominate your edition to appear in the featured content of Newsstand. Before doing so, ensure that all your content is up to date, nothing is duplicated, and that all videos and images are optimized. The Featured tab is available in the United States, Canada, Brazil, Mexico, Germany, Italy, France, the United Kingdom, Australia, and India at this point. If you’ve met the criteria above, you can email news-promotions@google.com to be considered for promotion. Google’s own support section states, “We’re happy to consider promoting your sections for major events in your applicable country (e.g. major elections, award shows, sports championships, etc. ).” It may be worthwhile to seek opportunities where your brand’s content overlaps with such events. User preferences for topics and publishers. The algorithms also personalize users’ “for you” and “favorites” sections based on their past Google activity and preferences. The Google News Curation Team can add temporary topics to help users follow popular news stories around high-interest topics such as major events or the latest development in a personal interest. It will create a structure, such as sub-topics and related items, for these cases, but the stories featured still get pulled in algorithmically. As is the case with Newsstand, being the first to cover breaking news or a trending topic may increase your odds of getting featured in these topics. Both platforms offer ways to monetize your content via display ads and both are compatible with Google Ad Manager (although some features aren’t supported on Apple News), enabling you to designate a target audience as well as track campaign performance. Apple News. Publishers who sell their own ads get to keep 100% of the revenue from them. If Apple backfills your ad inventory, it takes a 30% cut of the revenue. Google Newsstand. By default, Google-managed ads will display within your content. You can elect to turn off ads, manage them yourself, or display a mixture of your own ads as well as Google’s. Ad placement, however, is optimized by Google. As mentioned above, the right choice for your brand depends on the content you’re creating and your goals. For example, if your brand maintains an industry news blog, getting included in Google News might be the best way to increase your traffic. If you’re a content marketer looking to entertain audiences and increase exposure for your content, Apple News and Google Newsstand can be effective ways to get your content in front of readers on-the-go.